Daniel Whyte III is the author of over 40 books and the president of Gospel Light Society. Daniel Whyte III has spoken in meetings across the United States and in over twenty-five foreign countries. He is the author of over twenty books. 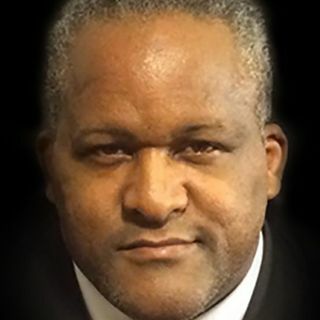 He is also the president of Gospel Light Society International, a worldwide evangelistic ministry that reaches thousands with the Gospel each week, as well as president of Torch Ministries ... See More International, a Christian literature ministry which publishes a monthly magazine called The Torch Leader. He is heard by thousands each week on his radio broadcasts, The Prayer Motivator Devotional, The Prayer Motivator Minute, as well as Gospel Light Minute X, the Gospel Light Minute, the Sunday Evening Evangelistic Message, the Prophet Daniel's Report and the Second Coming Watch Update. He holds a Bachelor's Degree in Theology from Bethany Divinity College, a Bachelor's degree in Religion from Texas Wesleyan University, a Master's degree in Religion and a Master of Divinity degree from Liberty Baptist Theological Seminary. He has been married to the former Meriqua Althea Dixon, of Christiana, Jamaica for twenty-five years. God has blessed their union with seven children.